Style 911: Can I Wear Glasses And Earrings Together? Choose subtle frames. As much as I love bold frames, if earrings are your priority, you might want to choose a pair of rimless glasses or another subtle style. Think about it this way: if your glasses are simple, you can still make a big statement with your earrings without looking over-accessorized. Many styles of glasses are so streamlined that people barely notice you’re wearing them. Try longer earrings. I know it seems weird to suggest dangly earrings instead of subtle posts or teeny tiny hoops, but what really matters is the focal point of each accessory. 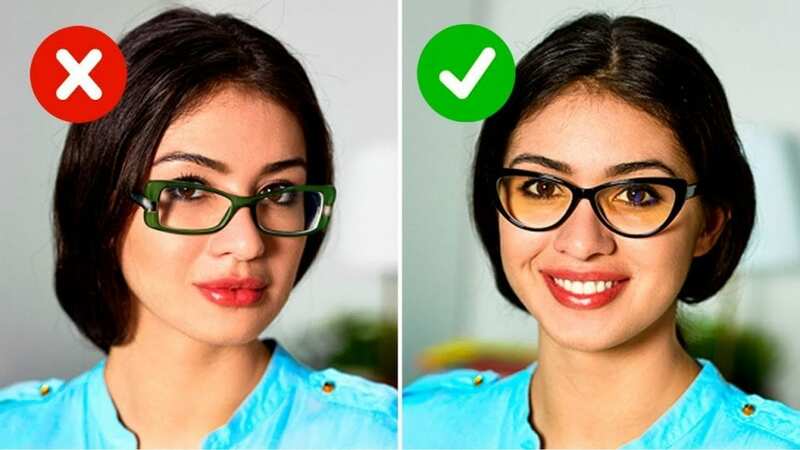 Glasses draw attention to the middle section of your face, at eye level. Short earrings also draw attention to this area because they’re positioned at ear level. Longer earrings draw attention down toward your neck, shoulders, and collarbone, which can create a nice sense of balance. Try drop earrings, earrings with slim vertical lines, or even chandelier earrings and take a look in the mirror. You might like what you see. Own it. I know, I know, this is kind of a cop out when it comes to style advice, but really, one of the best options in this situation is to just decide to be an awesome, confident lady who wears glasses and earrings together and rocks it. We may feel like we’re wearing too many accessories, but in reality, I’ve never seen a woman on the street wearing earrings and glasses together and thought, “Ugh, what a garish, over-accessorized fashion victim!” To the contrary, I often notice women who are wearing bold glasses, sparkly earrings, and bright lipstick because they look so freakin’ fabulous. I’d really love to hear from bespectacled readers about how they deal with the glasses/earrings dilemma. How do you balance the need for 20/20 vision with a love of earrings? What styles of earrings do you like to wear with your glasses? Do you take your glasses into account when choosing other accessories? Home » Style » Style 911: Can I Wear Glasses And Earrings Together?